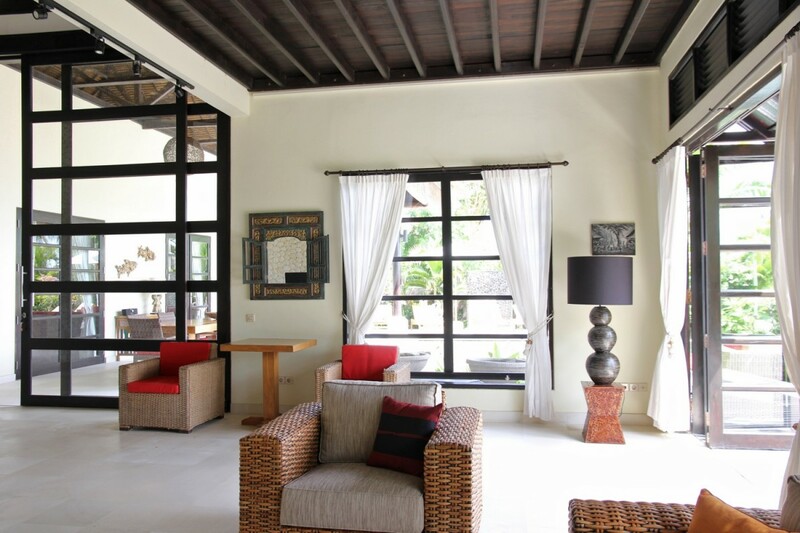 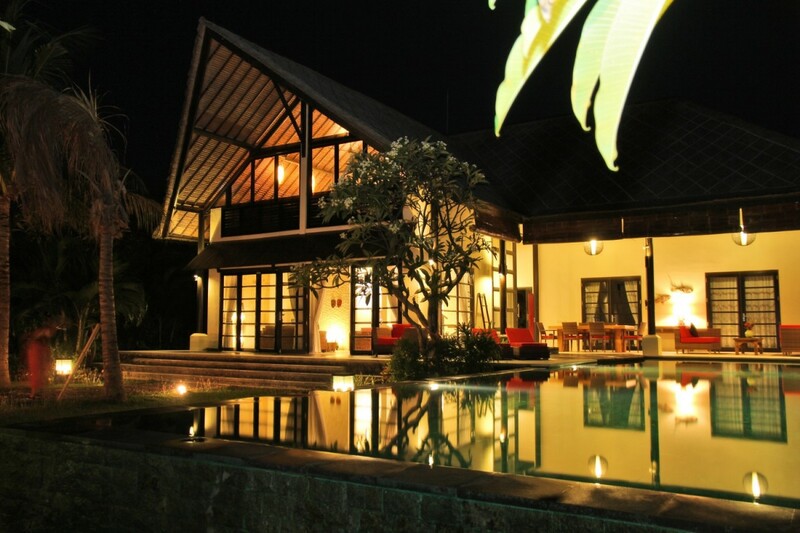 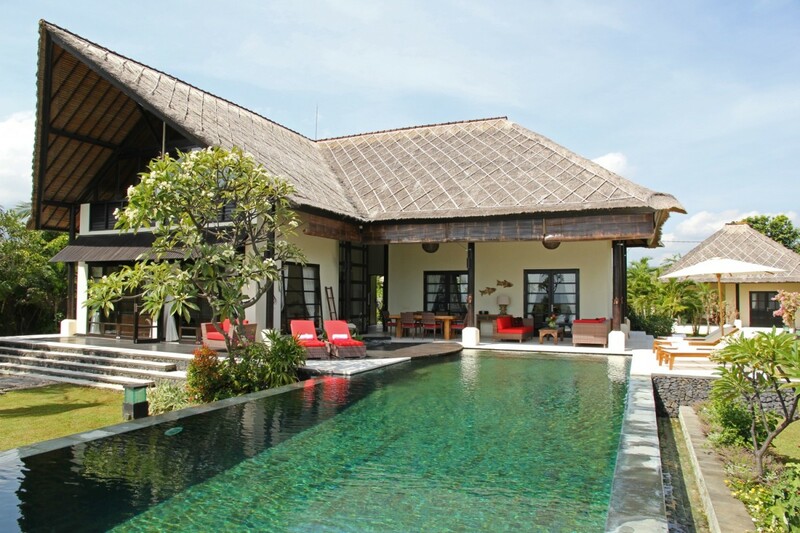 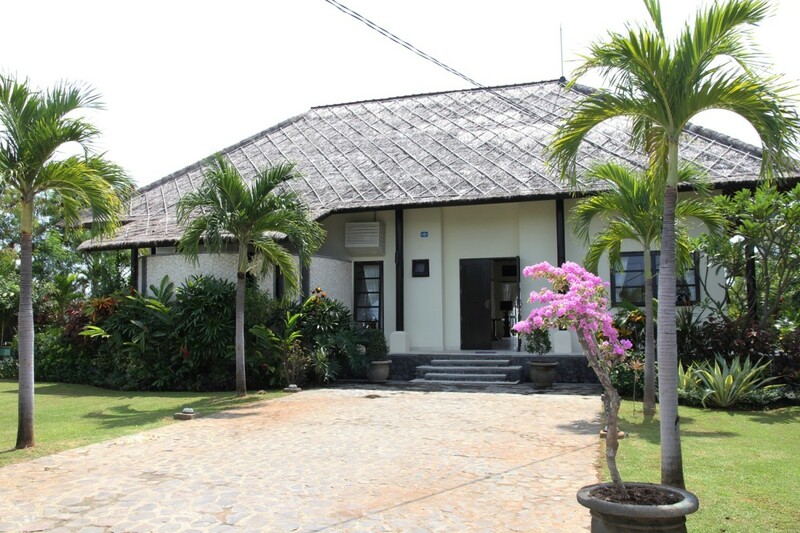 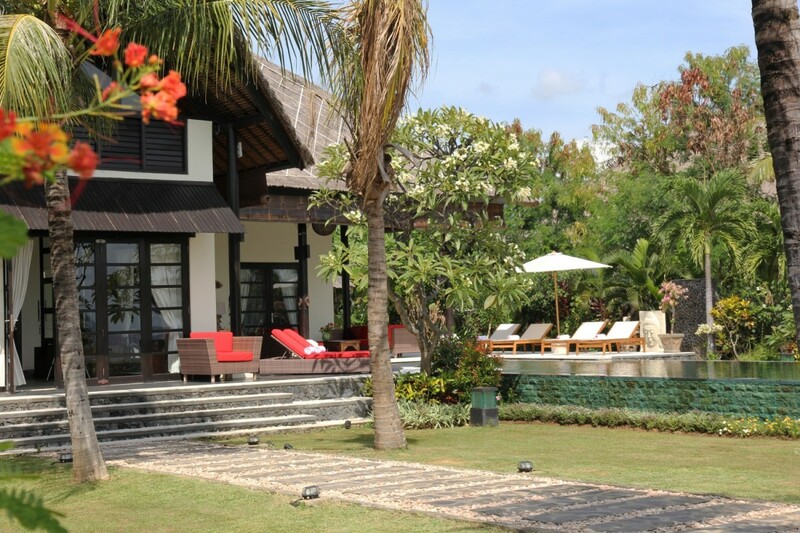 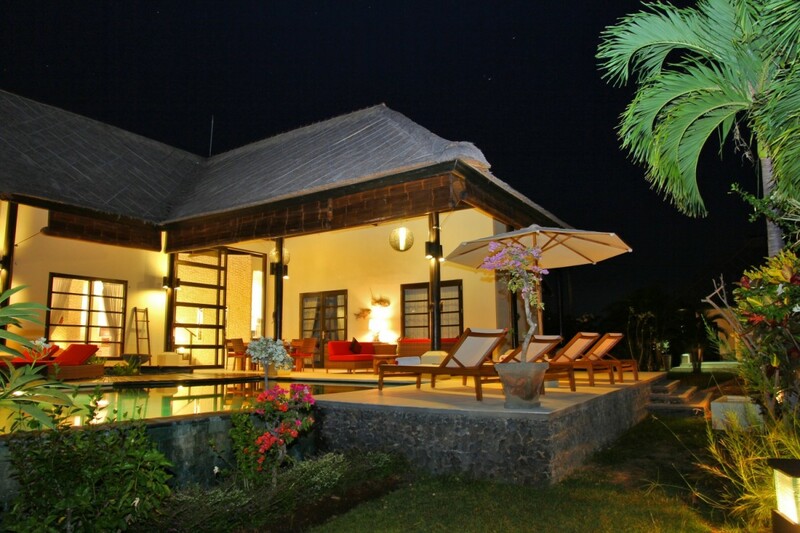 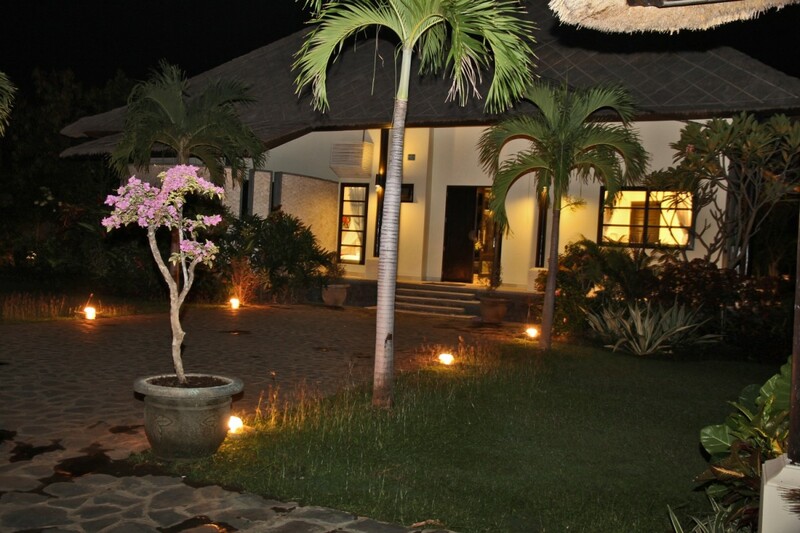 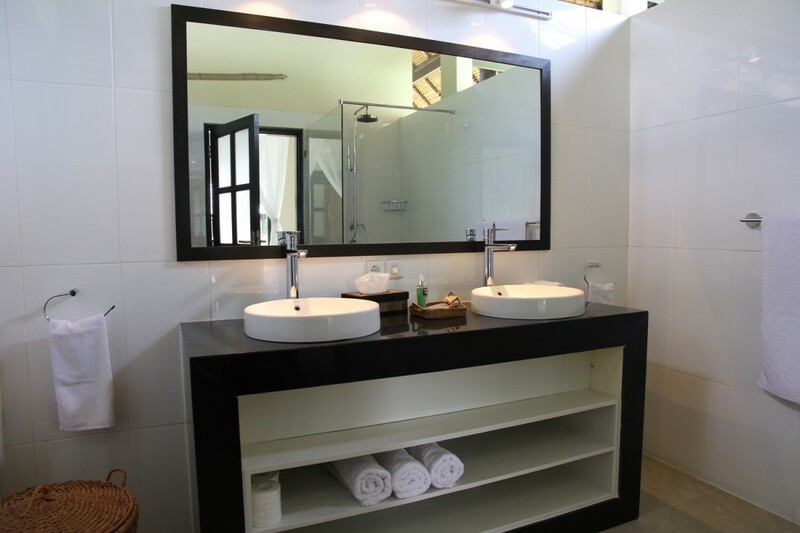 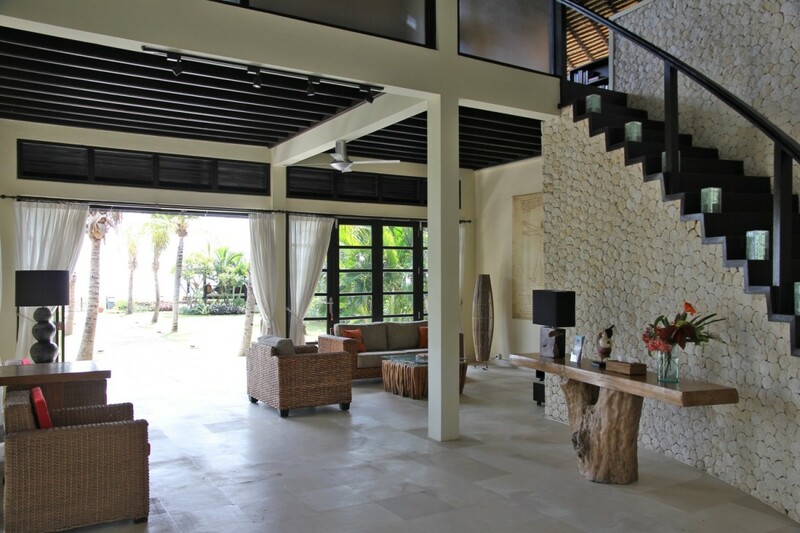 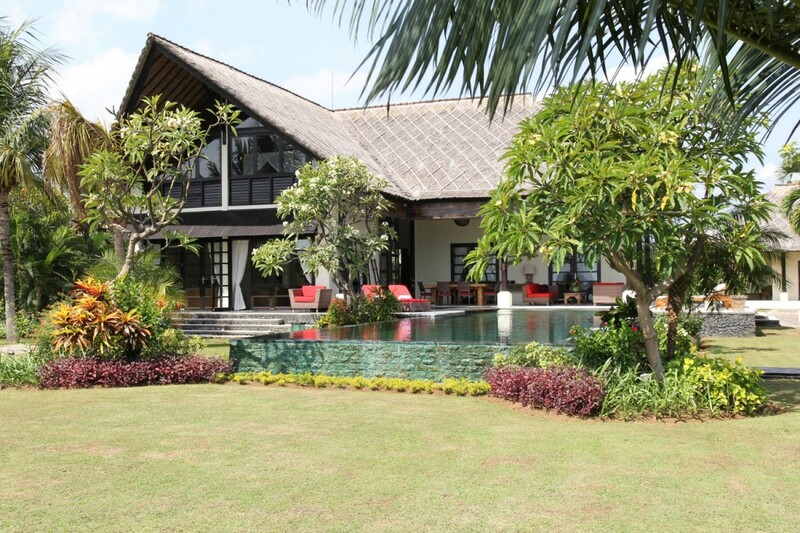 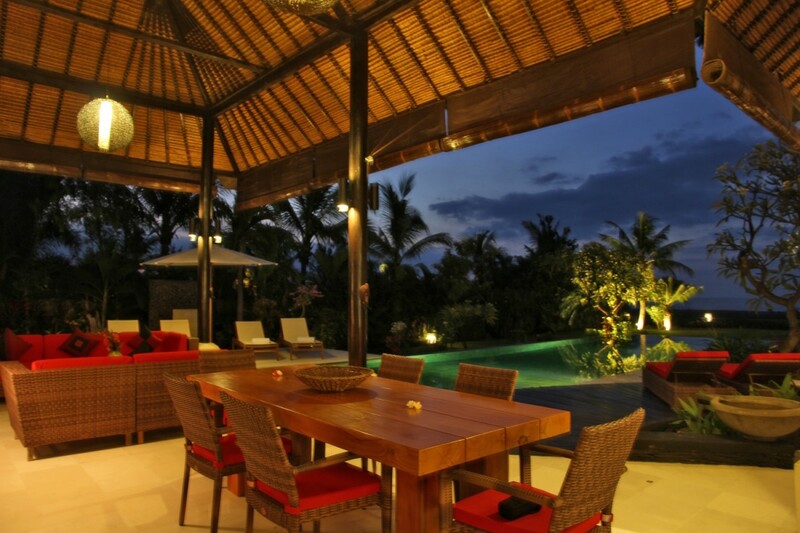 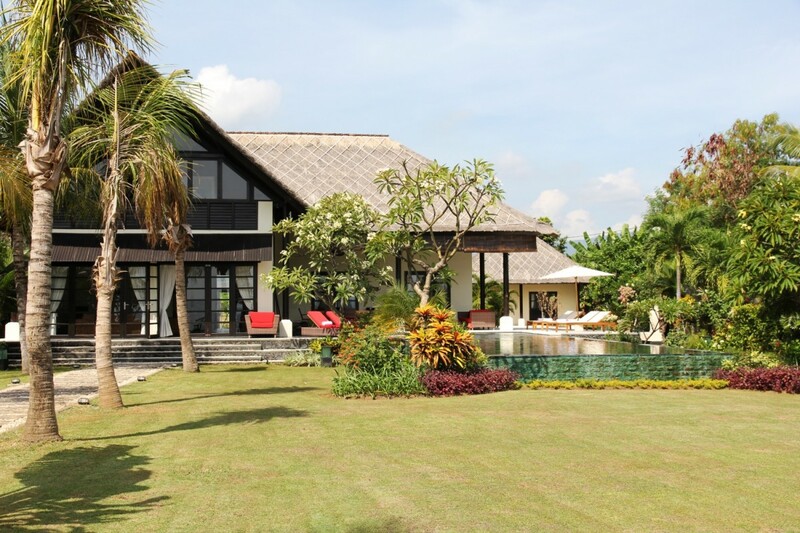 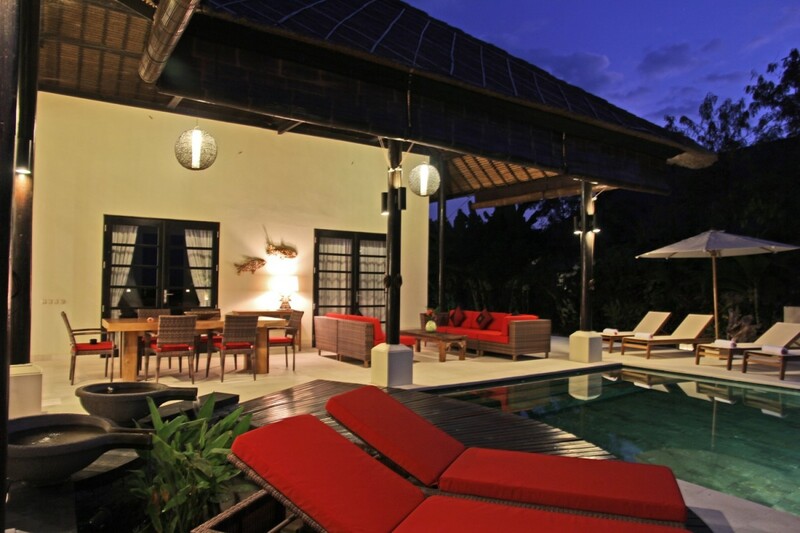 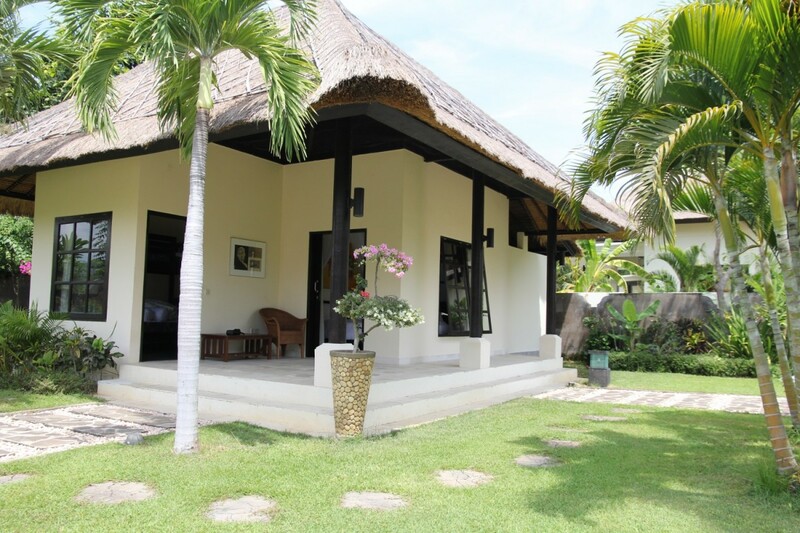 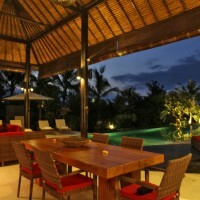 This luxury villa, with separate guest house, can accommodate up to 10 guests and is situated on a large plot of 2.600m2 with over 35 meters beachfront situated directly on the Bali Sea. 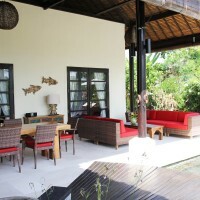 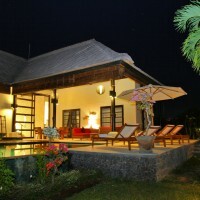 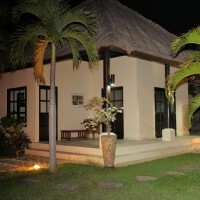 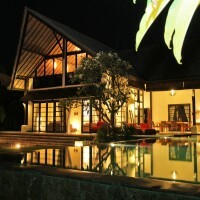 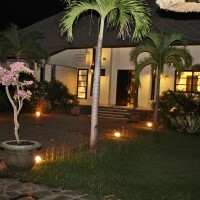 Villa and guesthouse are surrounded by a lush tropical garden. 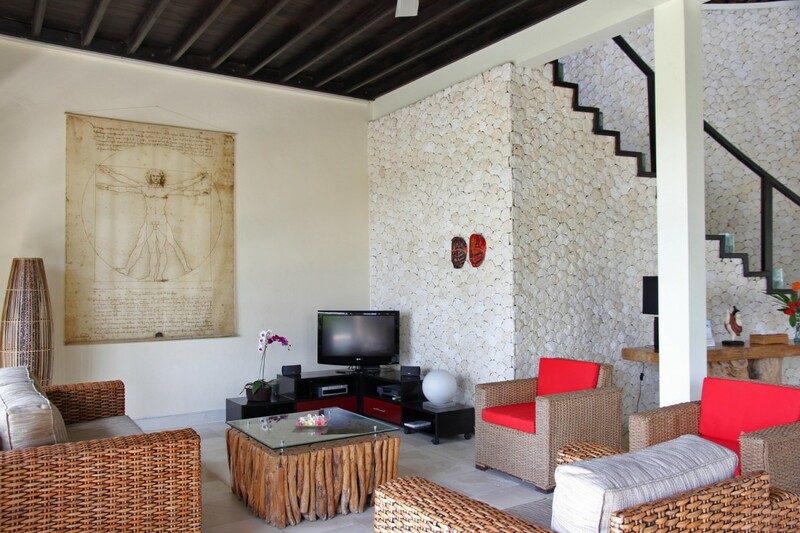 The L -shaped living room (80m2) with comfortable seating area completed with a Surround sound system, a large flat screen TV, a satellite that shows you some international channels and the best of Dutch and Belgian TV broadcasts (BVN), a collection of CD’s and DVD’sso plenty of media enjoyment. 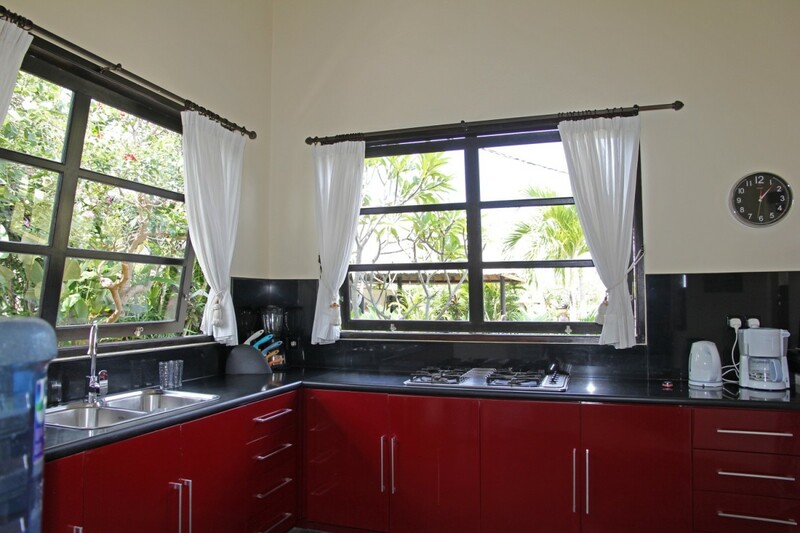 The open kitchen (21m2) is well equipped: there are a convection oven that can also be used as grill, as well as a microwave, blender, juicer, toaster and many other devices. 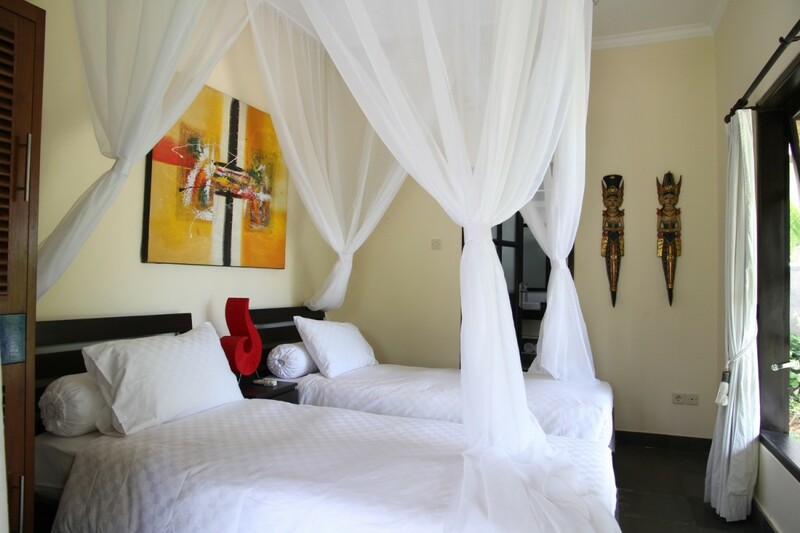 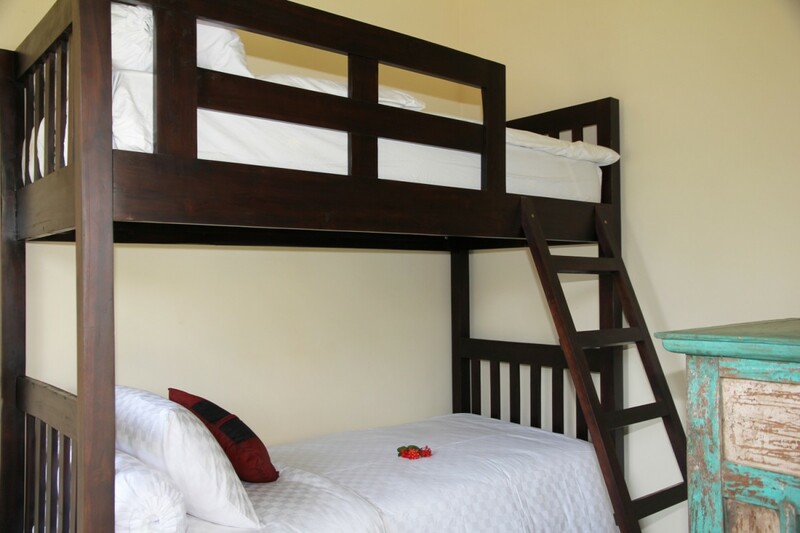 Located on the ground floor there are 2 bedrooms, one with a large double bed with mosquito net and the otherone with twin beds also with mosquito net and air conditioning, spacious wardrobes and en-suite bathroom with toilet, double sinks and a shower. 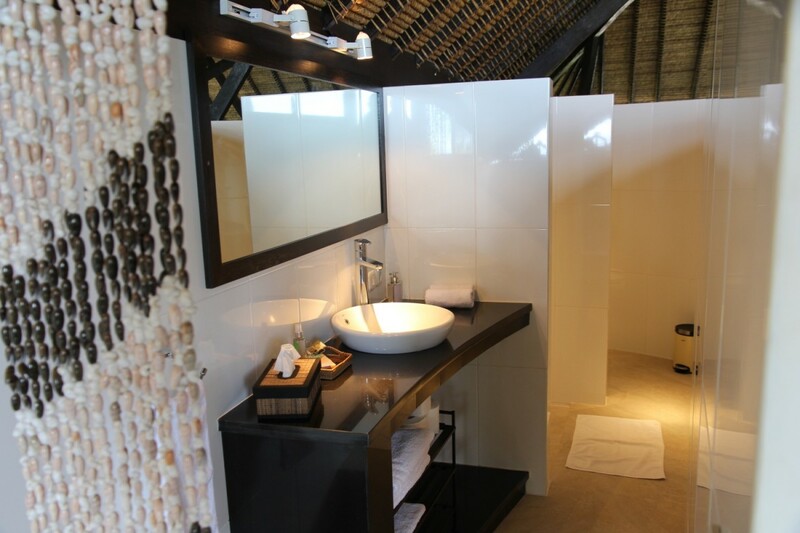 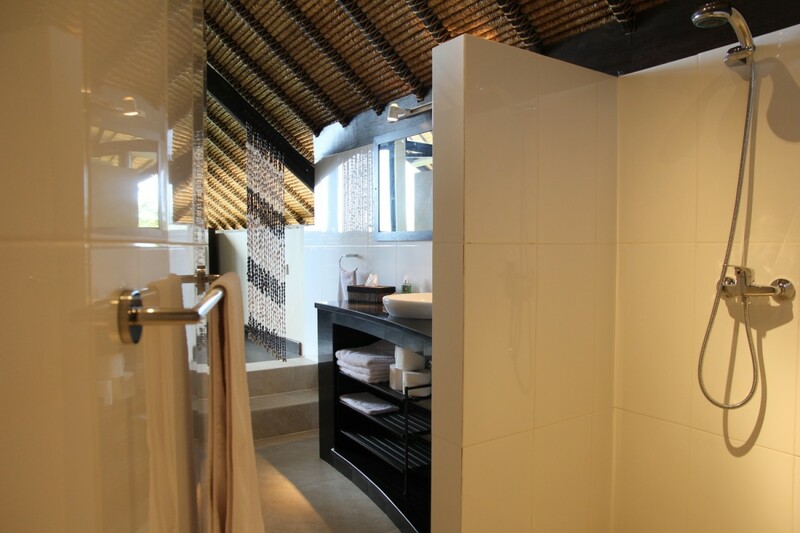 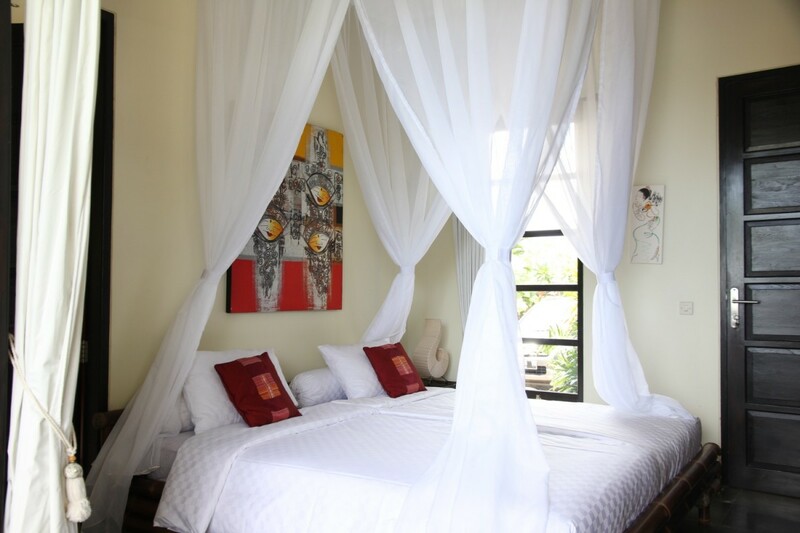 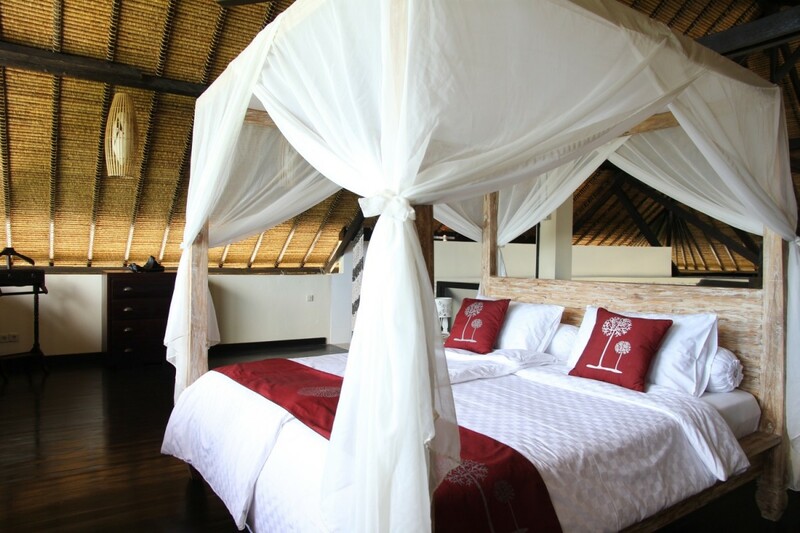 On the upper floor of the villa you will find a spacious loft (35m2) with a king-size bed, fan and mosquito-net and fully equipped bathroom. 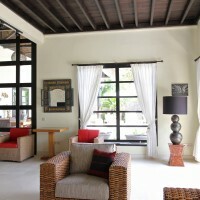 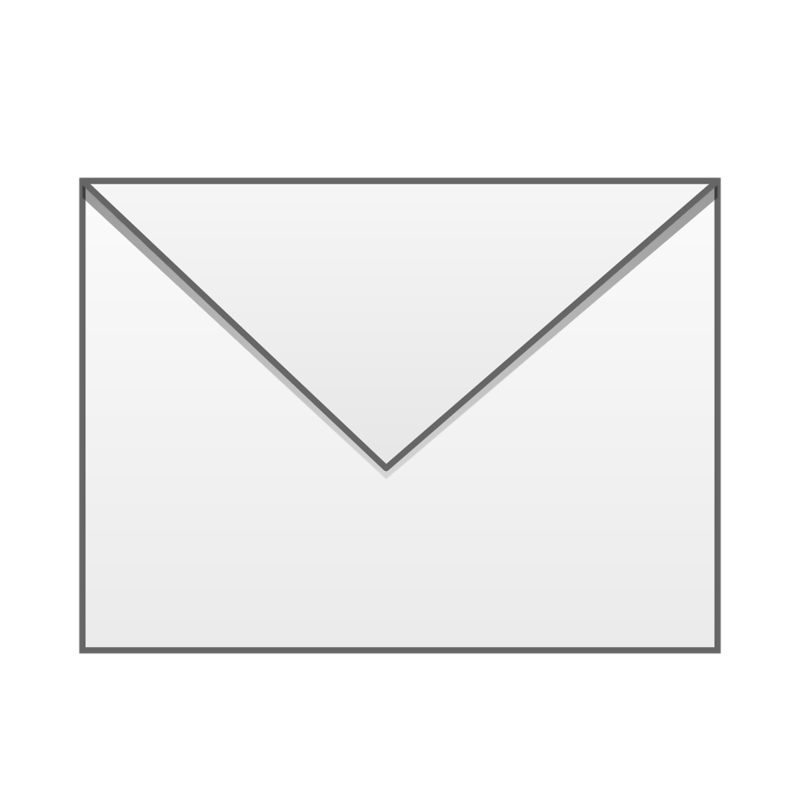 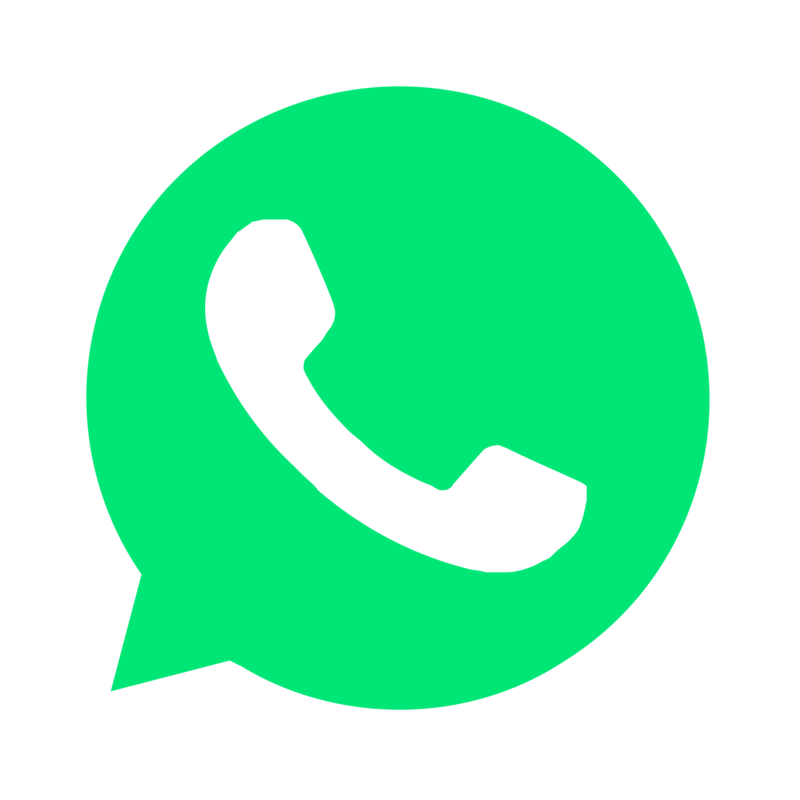 A collection of Dutch, English, French and German books, magazines and games. 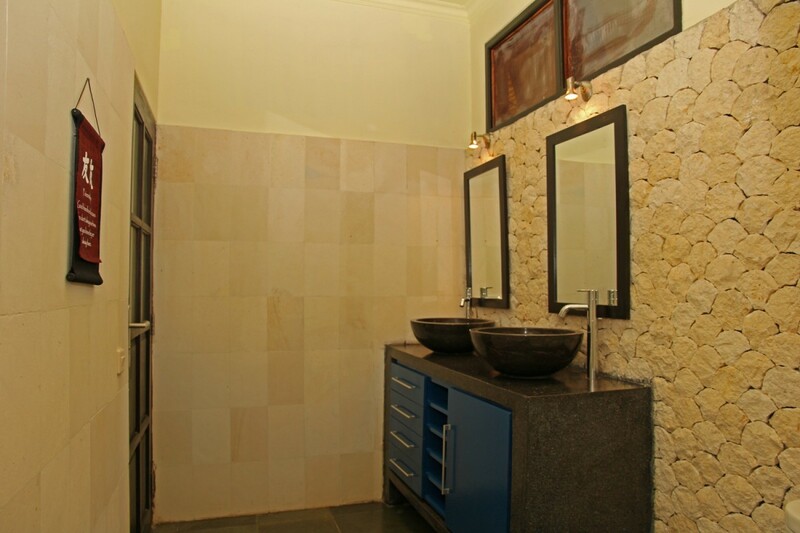 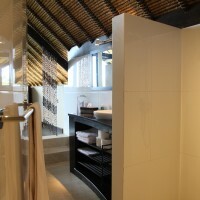 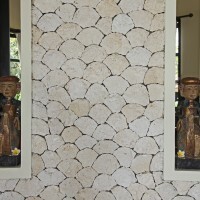 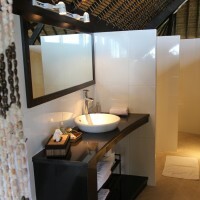 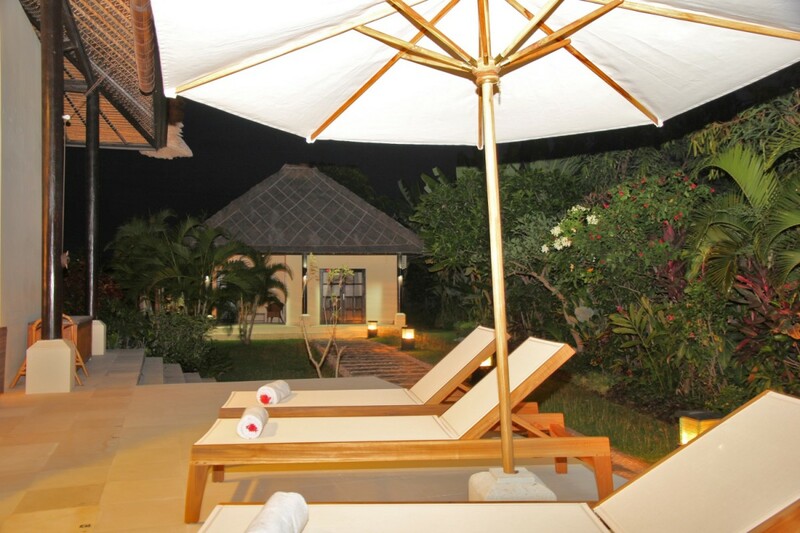 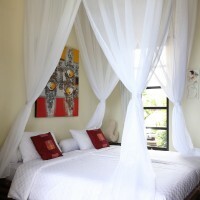 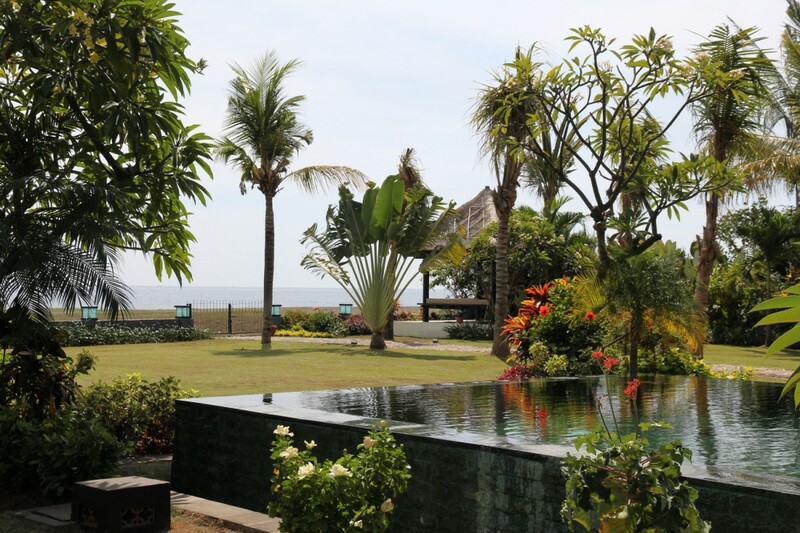 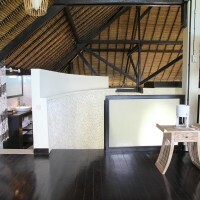 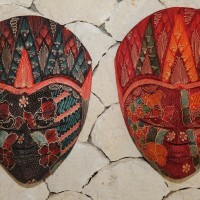 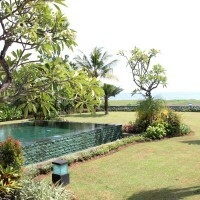 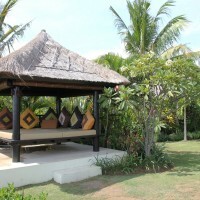 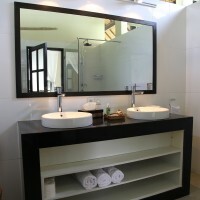 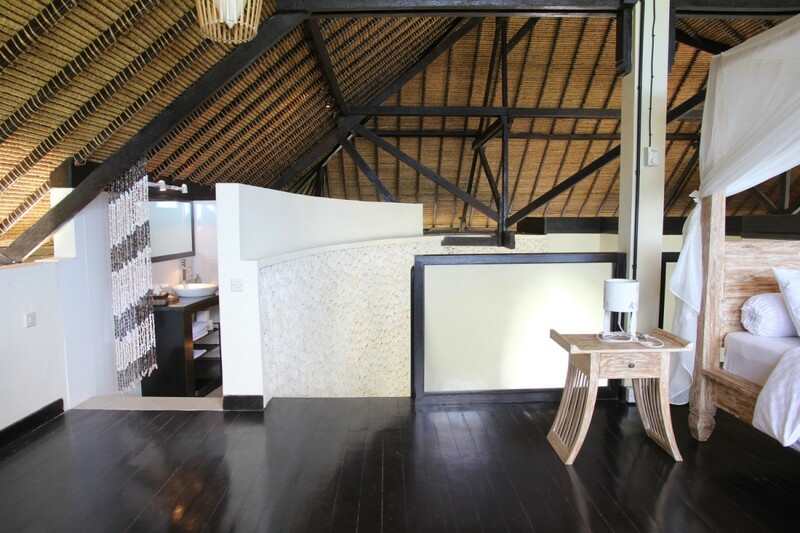 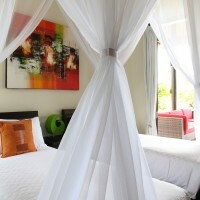 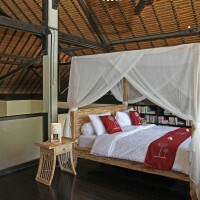 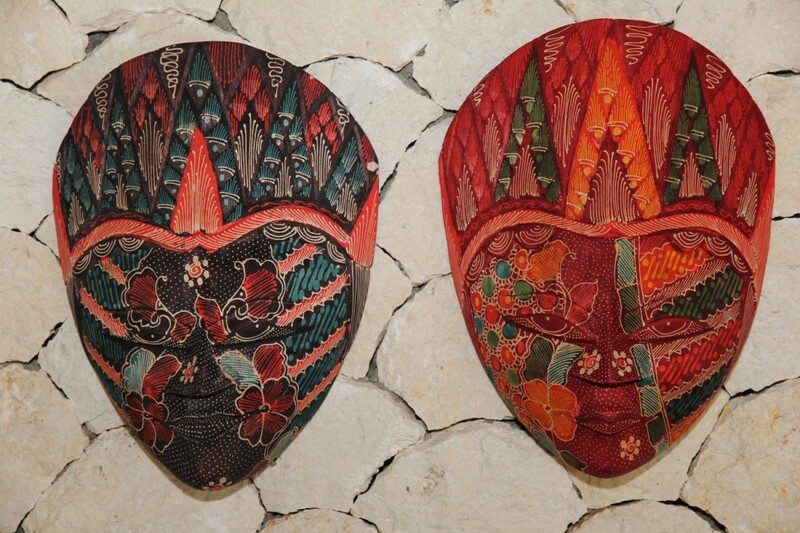 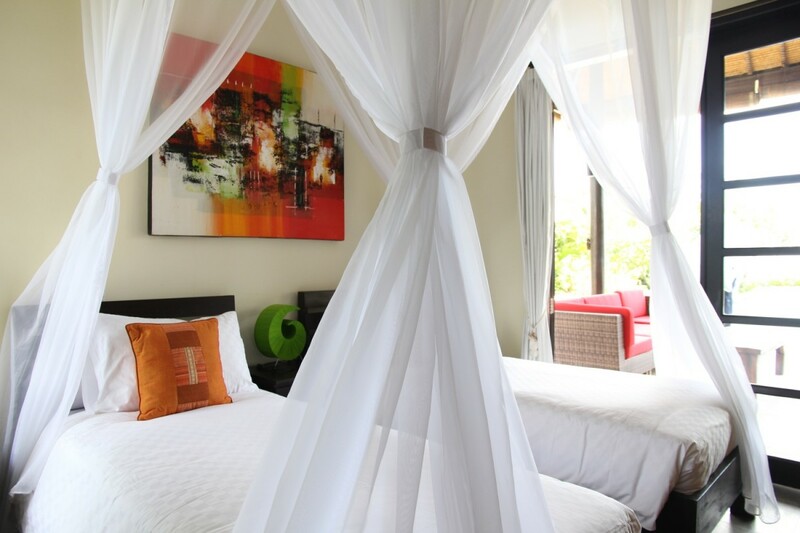 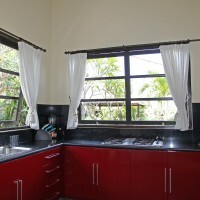 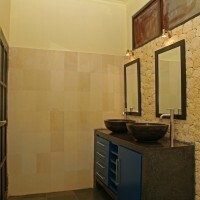 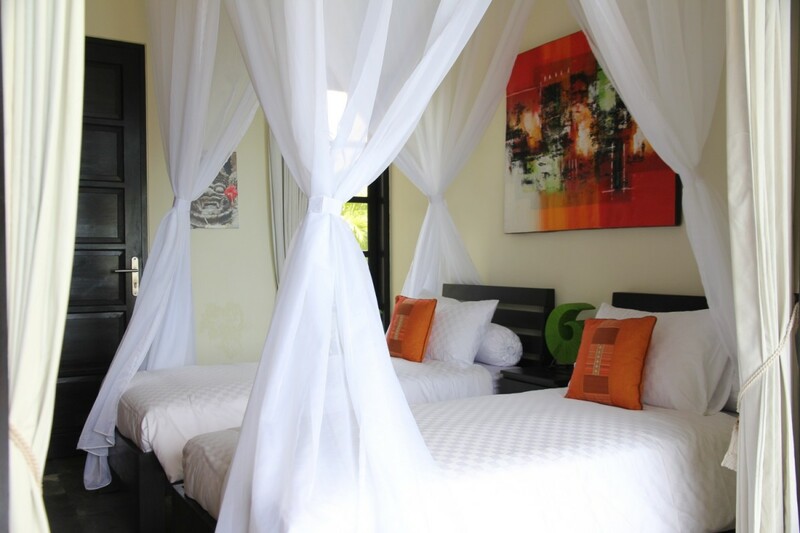 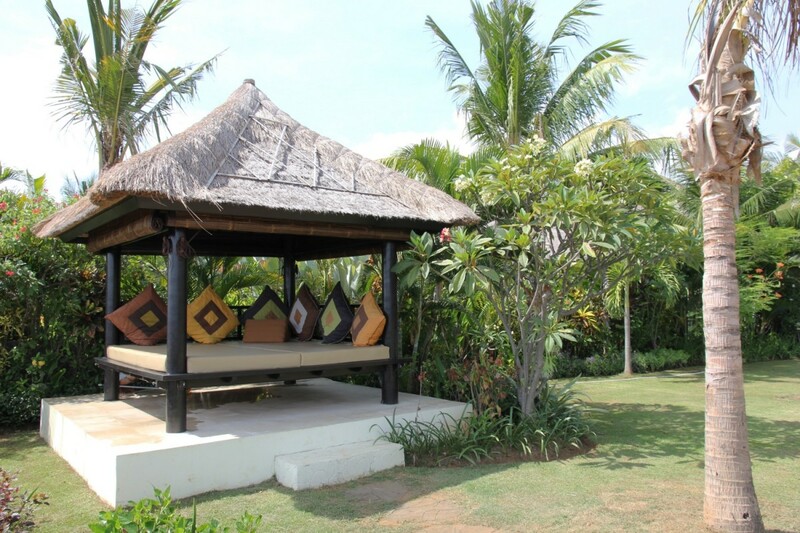 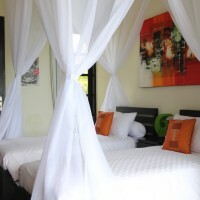 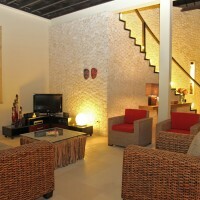 From here you have panoramic views of garden and Bali Sea. 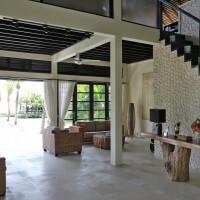 The villa has platforms around. 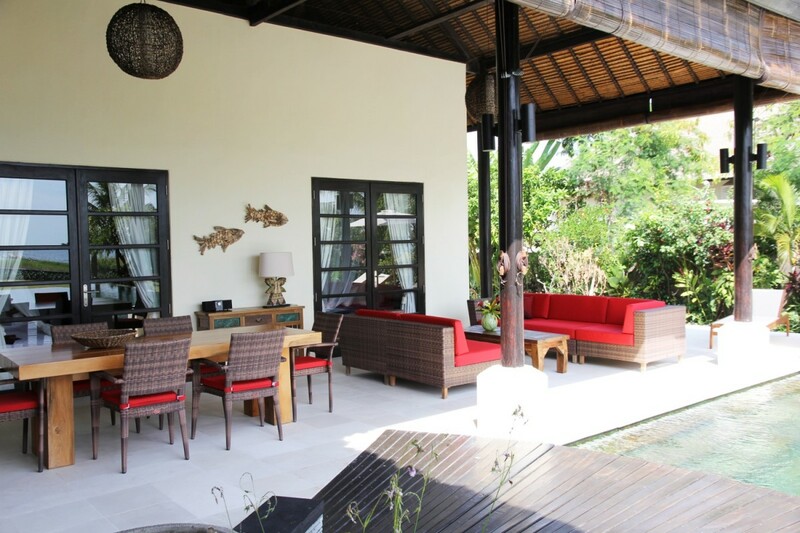 On the shady terrace (60m2), where you will spend the most of your time, you will find a dining table with 10 chairs, a sitting area with lounge chairs and 6 sun loungers. 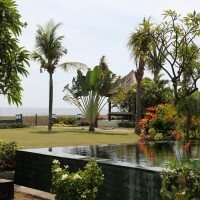 The large pool, of 5 x 16 mtr., and the pool deck are located at the terrace. 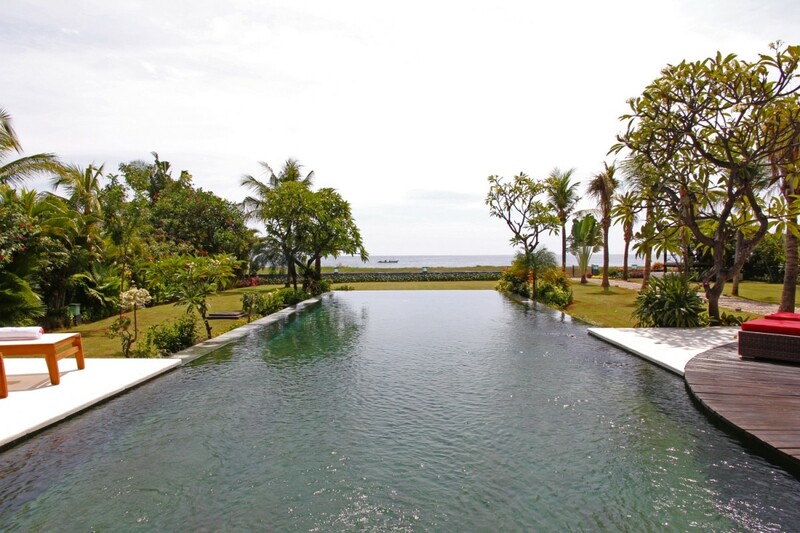 At the end of the pool are two seating areas to relax and from where you have a good view on the Bali Sea , the guest house , the surrounding tropical garden and the hills of North Balinese hinterland. 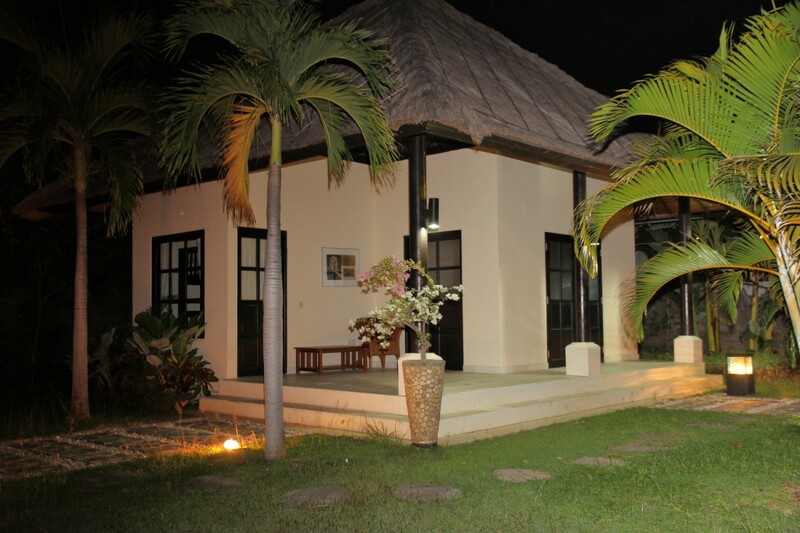 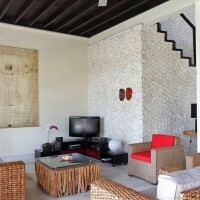 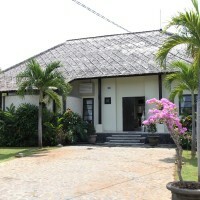 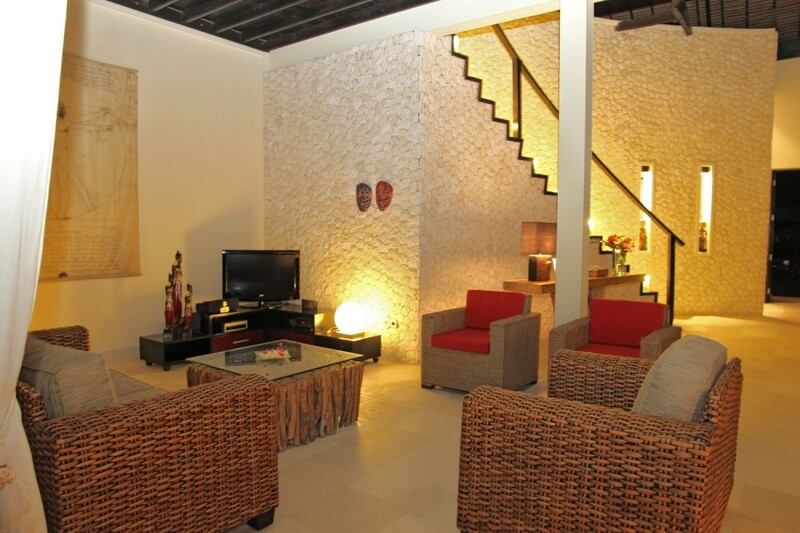 The guesthouse (35m2) with sea view is located on short distance from the villa. 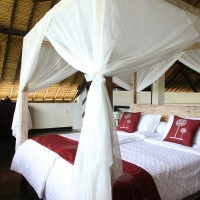 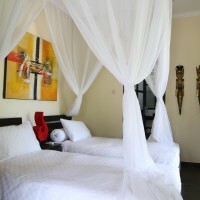 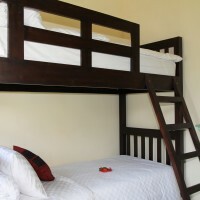 Here you will find another bedroom with single beds, mosquito net and a second children’s room with a bunk bed. 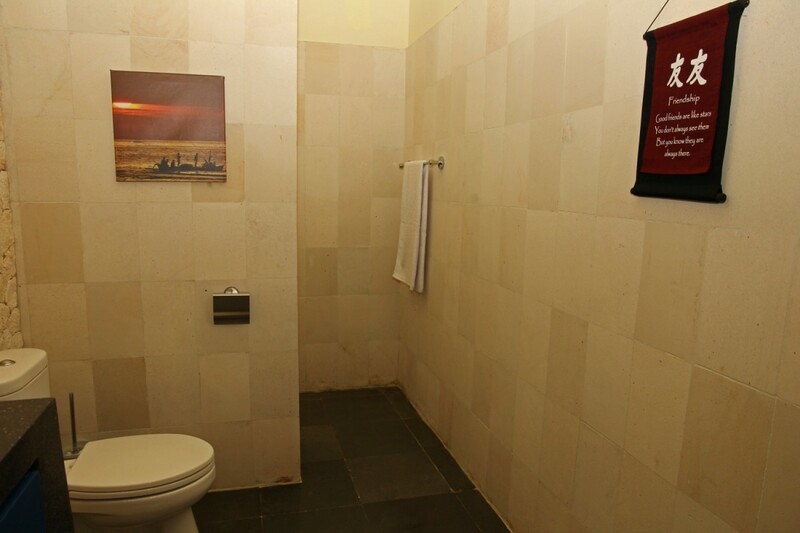 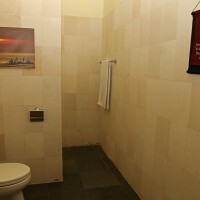 Both rooms equipped with airconditioning and one room with wardrobe, both with ensuite bathroom, double sinks, toilet and walk-in shower. 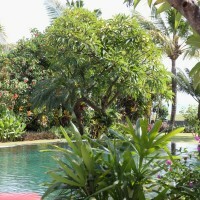 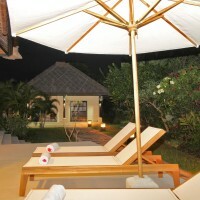 The guesthouse has its own terrace, which is surrounded by fruit trees, shrubs, plants and flowers. 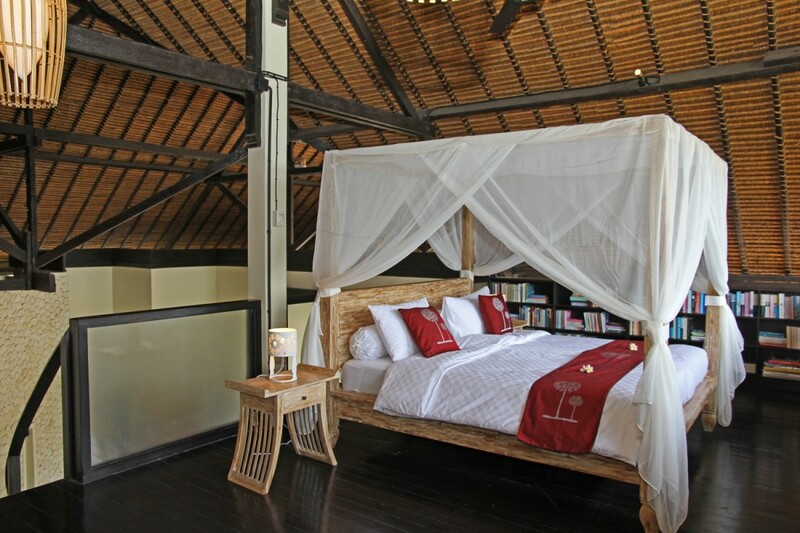 On the seaward side, there is the bale benong, a typical Balinese relaxing cottage with large cushions from which you – with a glass – can enjoy fishing boats, beach life and sunset. 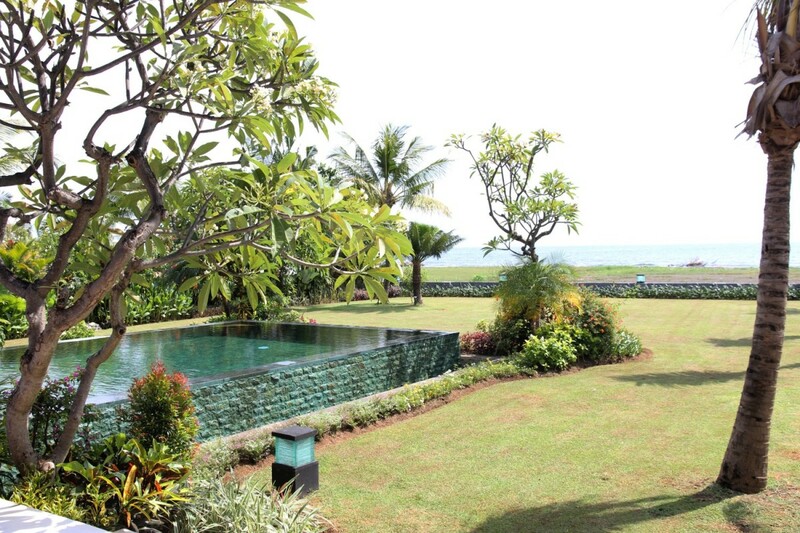 In clear weather you also can have a splendid view to the Java volcanoes. 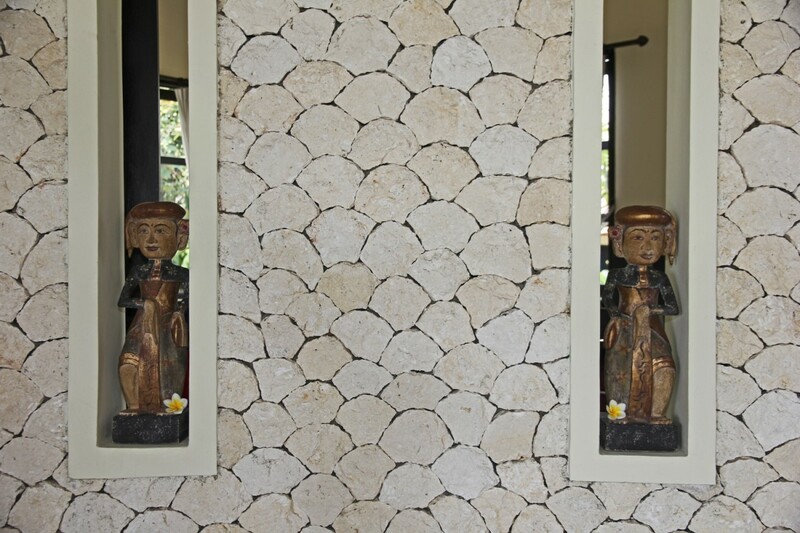 Villa Anamaya staffs two women in housekeeping and cooking, 2 gardeners and a security at nights who all serves you 6 days a week.